The Night King was largely absent from Sunday’s Game of Thrones premiere, save one update that the icy undead have zombie giants in their midst. One giant in particular seemed awfully familiar to fans, to which director Jeremy Podeswa offers a (slight) explanation. You’re warned of full spoilers through Game of Thrones’ Season 7 premiere from here on out, but an early scene in “Dragonstone” saw Bran having a vision of the Night King’s army on the march, including several giants. 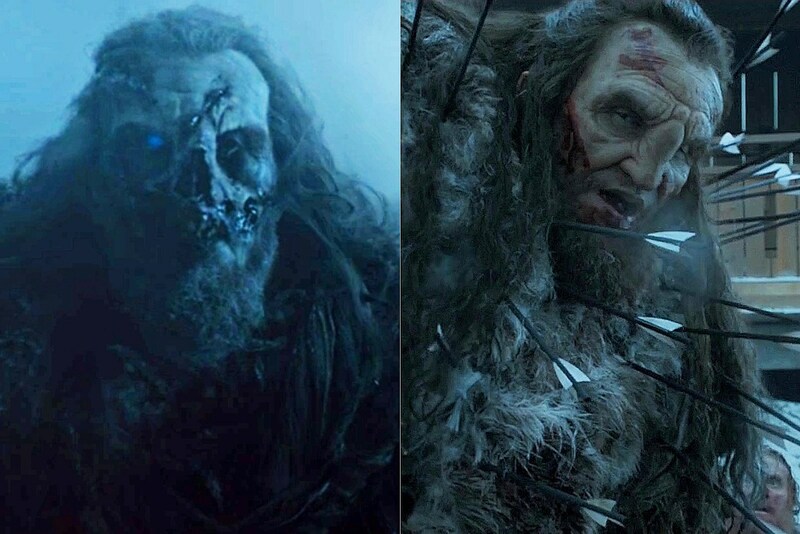 There was no explicit context for the scene, though the closest giant to screen was clearly missing one eye, and looked otherwise like Wun Wun, the fan-favorite giant killed last season in the “Battle of the Bastards” (with an arrow through the other eye, no less). I think it’s non-specific. And in fact you see three [giants] there — two in the background and one in the foreground. Actually he could be Wun Wun, but I don’t know if it’s specifically Wun Wun. Game of Thrones has yet to fully unpack the scope of Bran’s visions as the new Three-Eyed Raven, and we’ve seen imagery of dragons over King’s Landing that hasn’t yet come to pass. Revealing giants among the Night King’s army also served to remind us of the major threat, but it’s hard to gauge whether that specific giant was intended as any kind of of clue. We’ll likely learn more with this Sunday’s “Stormborn,” so stay tuned.